In his findings on construction of houses at former president Ian Khama’s private residence at Mosu in the rural district of Boteti, the Ombudsman cleared Khama of any wrongdoing and claimed that the bigger than life man had personally paid for all the facilities at the compound. However, here is INK Centre for Investigative Journalism’s Senior Investigative Reporter SONNY SERITE who – with receipts and bills of quantities in hand – examines the paper trail that exposes the Ombudsman’s findings as nothing but hogwash on a presidential scale. On January 29, 2018, the Ombudsman, Augustine Makgonatsotlhe, issued a report on his investigations into allegations that former president Ian Khama had, among other complaints, misused government funds for development of his private residence at Mosu. The report cleared Khama, then incumbent as President of the Republic of Botswana, of any wrongdoing in alleged maladministration and abuse of office regarding the construction of his private home and other facilities at Mosu. The investigations into Mosu were triggered by a complaint lodged with the Ombudsman by the opposition Botswana Congress Party (BCP) that Khama had used public resources, personnel and equipment to build an airstrip, structures and water connections on his private property. Even so, fresh evidence unearthed by INK Centre for Investigative Journalism shows that either the Ombudsman did not carry out a sufficiently thorough investigation, was suborned to mislead Batswana, or was misled by Khama, the BDF and/or government officials that Makgonatsotlhe may have interviewed in the course of his investigations. Contrary to the report, documents in our possession reveal that BDF personnel, machinery, plumbing and electrical materials were used for some of the structures inside Khama’s private compound. In March 2009, a year after assuming office, Khama had the BDF running helter-skelter to construct accommodation, ablution blocks and a kitchen block at Mosu. The order was that the construction should be completed and ready for use by April of the same year in time for the Easter holidays when Botswana’s Commander in Chief was expected to receive special guests. Working with remarkable alacrity, the BDF engaged a Mogoditshane-based construction company, Baagi Precast, to build the structures. INK can confirm that the electrical wiring and the plumbing were thereafter carried out by BDF personnel. Documents show that a team of 13 personnel from BDF 94 Construction and Maintenance Regiment was assembled on 3 March 2009 to carry out bricklaying, plumbing, carpentry, welding and painting at Mosu. INK has in its possession the names, ranks and job profiles (from plumbing, bricklaying to carpentry) of the BDF men so assigned. Most of the plumbing and electrical materials were sourced from BDF Francistown supplies depot, otherwise known in army jargon as 94CMC (Construction and Maintenance Company). When the Francistown barracks ran out of stock, materials were purchased from a hardware store in Francistown (names withheld) and while more materials were sourced from Gaborone BDF 94CMC. A JCB machine was also deployed all the way from the Francistown barracks to dig plumbing trenches in Mosu. Copies of handwritten requisition documents dated 3 March 2009, 9 March 2009, 17 March 2009, 28 March 2009 detail long lists of materials that the BDF construction team requested from army barracks in Francistown and Mogoditshane. The authorising officer was a certain Caiphus MC from BDF stores in Francistown and the issuing officer was one E. Mfananyana. The items were collected by a member of one of the construction teams, Corporal Sentle, using an army vehicle with registration numbers BDF 6356. The items are listed as being issued out to the Ministry of State President. Receipt voucher 01104547B was authorised on April 01, 2009 by Finance officer Morake and the issuing officer was G. Matebesi while the items were collected by Sentle using BDF vehicle registration number BDF 6251. Yet another receipt voucher 01104546B dated April 01, 2019 was authorised by the same Finance Officer and the issuing officer was Mfananyana. The three vouchers have a combined total of 212 items. At 3:28pm on 3 April 2009, a fax was sent from Officer Commanding 94CMC in Francistown to Commanding Officer 94CMR in Gaborone for the attention of Warrant Officer 1 Letsogile, asking him to issue out more plumbing materials for the Mosu project. Some of the items requested were 10X15MM copper elbow capillary, 6X15MM copper to GS female elbow, 1X50mmX40mm PVC reducing adapter, 10X15mm copper masterbat, 10X22mmX15mm copper reducing coupler, 4X22X22mmX15mm copper tee capillary and 6x50mm X90 PVC bend. But in a development notable for its incredulity, the Commander of the Botswana Defence Force (BDF) Lieutenant General Placid Segokgo told the parliamentary Public Accounts Committee (PAC) during his appearance before it in October 2018 that they were misled when personnel and equipment were deployed to build an airstrip on the former president’s private compound in Mosu. The construction of the airstrip at Mosu entailed flagrant use of public funds on private property, namely former president Ian Khama, who – addition of the BDF – also benefited from fencing and its maintenance by the Civil Aviation Authority of Botswana (CAAB). Parliament was told that construction at Mosu airstrip started in 2012 and was completed in 2017 at a residential plot belonging to former President Khama at the cost of P6,5 million of taxpayers’ money. The Minister of Defence, Justice and Security Shaw Kgathi revealed in Parliament that the airstrip is on tribal land allocated to former president Khama by Ngwato Land Board. With respect to the airstrip, the Ombudsman noted also noted in his report that it had been “built by the Botswana Defence Force, with its own resources (i.e. machinery and manpower)”. Responding to our enquiries this week, BDF Director of Protocol and Public Affairs, Colonel Tebo Dikole, admitted that the BDF had indeed constructed some structures inside Khama’s compound at Mosu. 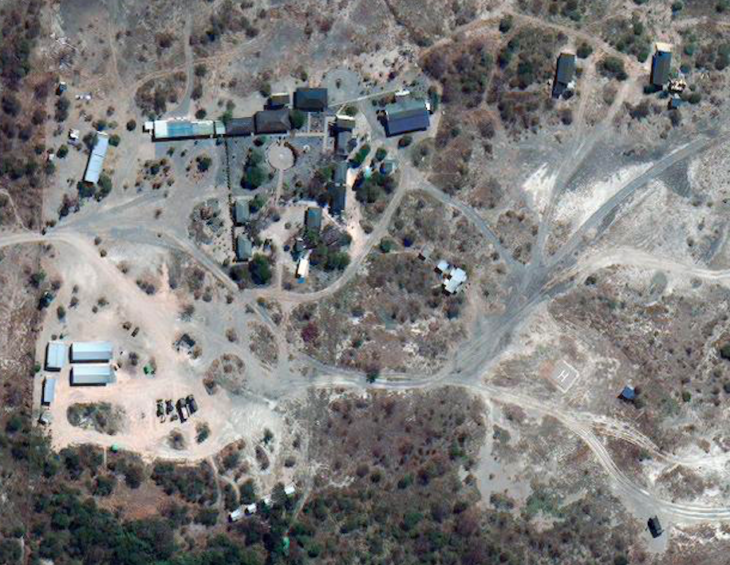 In contrast to what the Ombudsman stated in his report that all structures inside the compound were built from Khama’s personal resources, Dikole revealed: ‘”The BDF engaged a local company, Baagi Precast, through micro procurement for the construction of a precast building comprising of an accommodation area, kitchen and ablution to be used by its security detail in Mosu.” Like the airstrip that has since been forfeited to Khama by government, the building that was constructed for Khama’s security detail by the BDF now remains his private property. Colonel Dikole further confirmed that the electrification and plumbing of the building was done by BDF members from the Corps of Engineers using material from its inventory. “Notwithstanding this, where certain material was not in store, procurement was done from respective hardwares,” Colonel Dikole revealed.